A mosquito admits that he didn’t always like being a mosquito. There the story progresses to a time when Mosquito asks three beautiful butterflies, ‘Can I flutter around with you?’ The Butterflies respond: ‘You are not good enough for us. You are ugly and boring.’ Mosquito flies away. He soon comes across a beautiful flower. With the flower wrapped around his body he goes back to the butterflies, in the disguise as a beautiful butterfly and is accepted. The butterflies and the mosquito are caught in a butterfly net and taken back to a room. Here Mosquito becomes a hero as he escapes from a holding jar and stings the thumb of the person who was about to stick a pin in one of the butterflies. Finally, the butterflies are happy to fly with mosquito as a mosquito and mosquito is happy to be a mosquito. 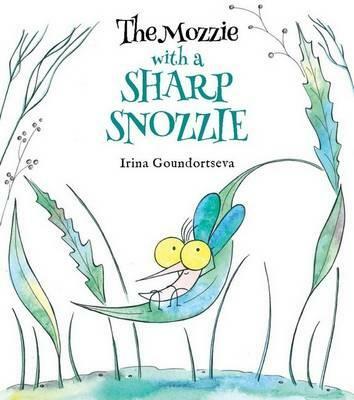 Delightful depictions of the mosquito and creative use of different illustrative formats are evident in this excellent story, which is about looking at identity and encouraging children to find their strengths as individuals.